Help Us Decide: Splash Contours or Elevation Contours? We need your input on how elevation (hills and ridges) will be displayed in General Staff. Originally we had planned on using ‘splash contours’. 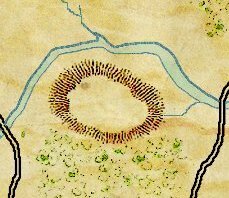 Splash contours were often used in quick sketch maps on the battlefield and they have an authentic look to them. An example of a splash contour representing a hill (artwork by Ed Isenberg). An original American Kriegsspiel map (circa 1892). Note the elevation contour lines. Click to enlarge. 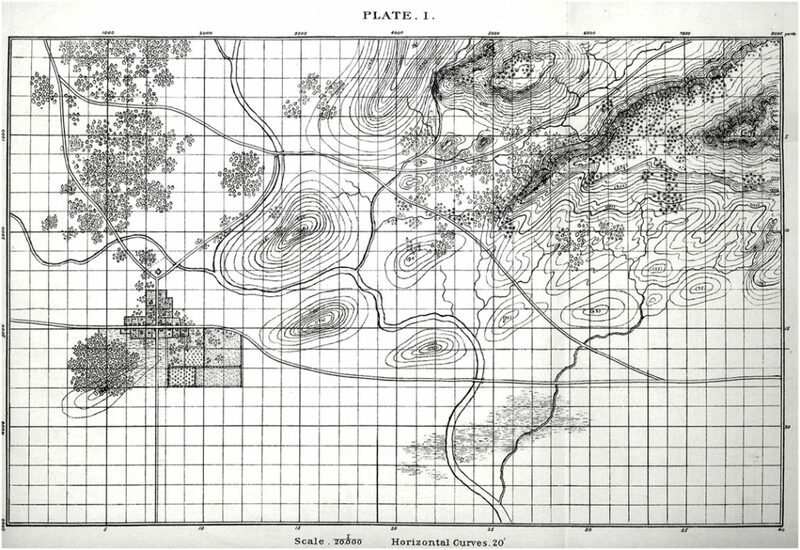 Obviously, concentric elevation contours were in use in the 19th century so we could be authentic using either method of display. This entry was posted in Artwork, Map Design Module, Survey and tagged Design, Elevation contour, Hills, Maps, Splash contour on March 10, 2017 by EzraSidran.